New Delhi: The Visva-Bharti University recently began a certificate-level course in Chinese language for soldiers. 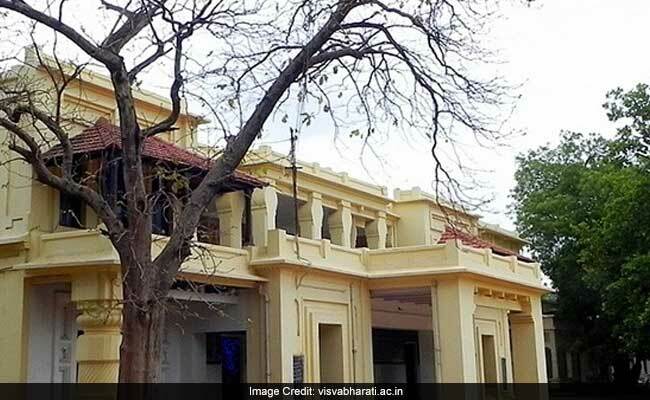 The University's "Cheena Bhavan" has been given the responsibility to teach the language to soldiers. The officiating vice-chancellor of the university Swapan Kumar Dutta told PTI that the certificate course in Chinese (Mandarin) was started recently and already 25 Army personnel have been admitted to the program this year. He said that the course aims to introduce the Army personnel to the rich Chinese culture and inform them about the centuries old tie between India and China. Dutta said that the eligibility criterion for soldiers is same as general students. The course is being taught at an Army establishment since it was not feasible for Army Personnel to attend classes in Cheema Bhavan in Visva-Bharati campus. He also said that since its inception in 1937, the 'Cheema Bhavan' has been working relentlessly towards creating awareness about Chinese culture in the country. He said that the certificate course should be viewed as a part of the continuous cultural exchange process set in motion eight decades ago. An MoU was signed between the university and the Army's Eastern Command in February to facilitate academic exchange programmes and educational cooperation. The MoU was signed by the Registrar on behalf of Visva-Bharati university and Brigadier General Staff (training) on behalf of HQ Eastern Command. The signing ceremony was also attended by Lt. General Praveen Bakshi and the Officiating Vice-Chancellor. Dutta said that the MoU has also facilitated the setting up of a library at Fort William (Eastern Command headquarters) where Bengali, Hindi and English translations of Tagore's works were being kept. Talking about Cheena Bhavan's other initiatives, Dutta said, "While our students are being recognised internationally for their command over the language, in China students of the institute who are part of the exchange programme with Cheena Bhavan organise Bengali cultural events at their campus and sing 'Rabindra Sangeet'." He said that the university is working on Gurudev Rabindranath Tagore's vision of broadening the mind through linguistic and cultural exchange. He also highlighted the help Chinese Consulate provided in setting up a 'Modern Chinese Laboratory' with modern equipment at Cheena Bhavan.